TMS are a specialist marine contractor. As the sector has evolved, TMS recognised Clients would benefit from a single source solution for their projects. 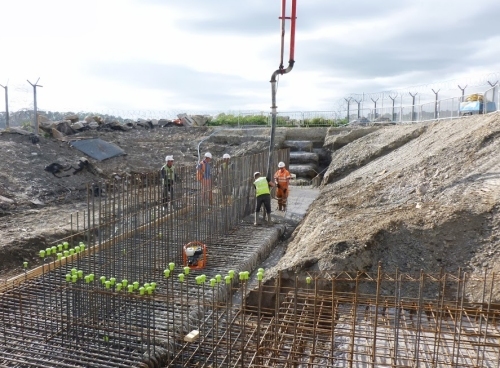 A strategic decision was made to increase the skill set of the business so that TMS could offer civils based works and engage on total package solutions for clients. TMS regularly have packages of works which includes earthworks, drainage and concreting. By keeping their direct delivery philosophy TMS are able to make use of their multi skilled workforce to deliver the civil engineering elements of works alongside the marine element. This generates an efficient programme of delivery of works for their Clients. This approach allows TMS to stand out against other marine contractors competing in this sector.